Available as a trio or quartet. Internationally renowned alto saxophonist Stacey Dawson has played regularly throughout Europe and at some of London's leading jazz clubs, including the 606 club, the 100 club and Ealing and Brecon Jazz festivals. He has been asked to perform for Tony Blair, Prince Charles at High Grove and Barack Obama at the American Embassy. He has also performed for Maserati and Aston Martin. 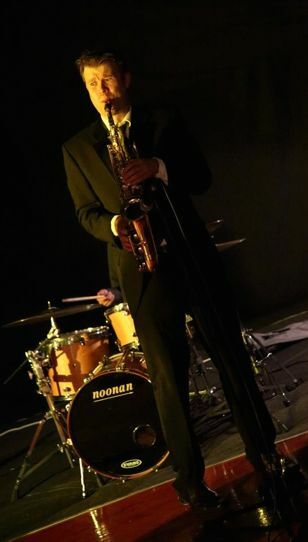 Currently he is the resident saxophonist at the Dorchester Hotel and regularly performs at the Savoy and Claridge’s hotel. 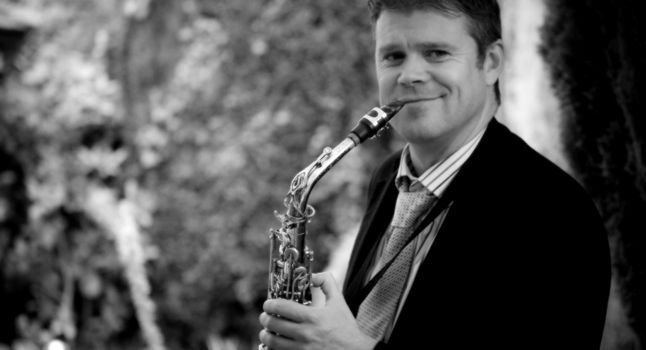 Stacey Dawson is a fine alto player with bags of experience – he is the resident sax player at The Dorchester, performs regularly at The Ivy, Claridges and The Hurlingham Club. Some his private clients include Prince Charles and Tony Blair. His bands are always comprised of top-class musicians, as evidences by their long list of previous high-profile engagements. The style of jazz is West Coast – a classic sound evoking Zoot Sims, Art Pepper and others. The band will have no problem blending in and providing the ambience, or stepping it up a notch for a toe-tapping atmosphere. Stacey’s basic line-up is sax, guitar and double bass – a small group that is easy to move around, fits in one car, and can fit into a small space. The band can also feature piano instead of guitar – or both if you want a fuller sound. Add drums if you’d like to make more of a feature of the music, and perhaps encourage some dancing. Take a look at the showreel opposite – this is the regular trio at The Hurlingham Club. You can also have a listen to the Soundcloud links, and if you like what you hear, feel free to get in touch with any questions. Remember, our quotes are completely without obligation, and the fee we quote will be the full fee – no surprise extras later on down the line.